Charities | Charity Challenge INC.
You may be asking: How do you choose which charities to benefit? When do the charities receive their donation? Here at Charity Challenge, we can assure you that your donation is going to a good cause. Many teams, sponsors and/or volunteers specify which charitable organization they want to give their contribution to and many simply leave it to us! You can designate any charity you wish to receive your contribution, there are no limitations. (Charities must be a 501 (C)(3) Organization). Center from left to right: Mariann Lansing, Derek Riley, Senator Lee Constantine, 2018 Recipients. 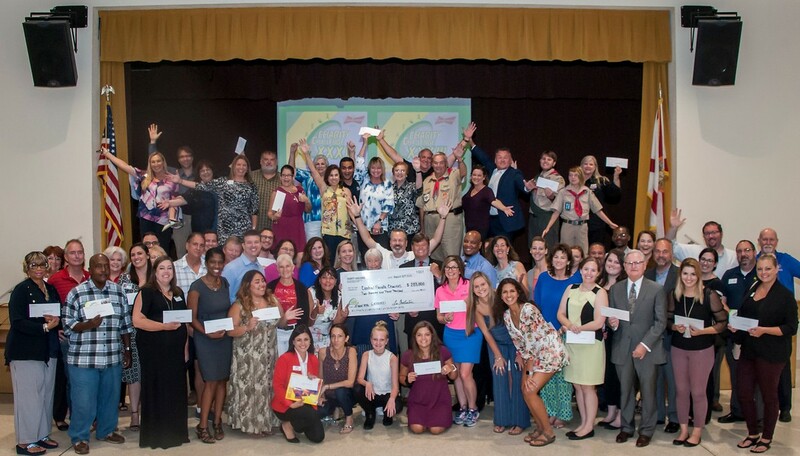 View the 2018 Charity Recipients List. 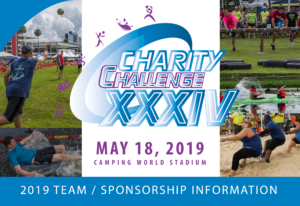 All selected charities will be presented with a donation check at our Annual Charity Challenge Reception something in August 2019. Charities: If your charity is not selected by a team, sponsor or volunteer, DON’T WORRY! You can still get involved with Charity Challenge! Learn more on how to get involved.